Glu/Sense™ HEMA/Glutaraldehyde desensitizer reduces or eliminates post-operative sensitivity by penetrating and sealing dentin tubules and precipating proteins under restorations. Its no-drip formula provides control and accuracy during placement because it stays where it’s placed. 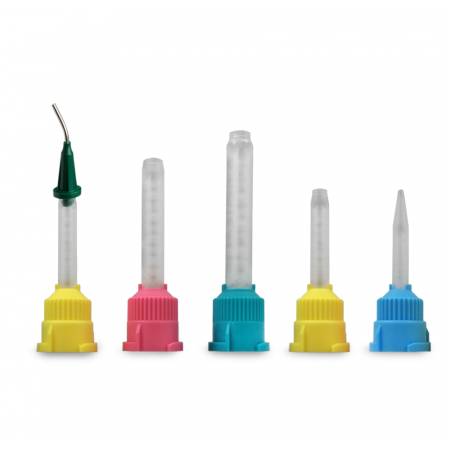 The exclusive SofNeedle™ with its foam tip enables easy and exact placement and complete coverage of dentin. With its 35% HEMA/5% Glutaraldehyde gel formulation, Glu/Sense acts in seconds to seal out post-op sensitivity. 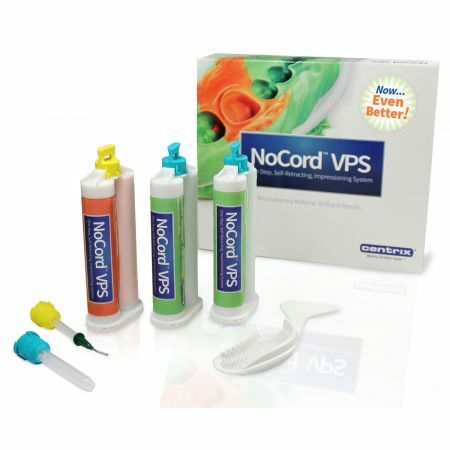 It is compatible with most cements and dentin bonding agents. On etched enamel, Glu/Sense acts as a “wetting agent” helping to prevent collagen fibers from collapsing. When used under restorations, effect is permanent. The glutaraldehyde in GluSense "coagulates proteins" deep within the tubules. This along with the HEMA, seals the tubules and blocks outside stimuli (cold, pressure, etc) from reaching the nerve ending. Is smear layer removal required prior to using GluSense? No. GluSense is effective with or without smear layer removal. The only time removal is required is if the other materials (for example, a bonding agent) used in the procedure required it. Should GluSense be applied to areas with exposed pulp? No, avoid contact of GluSense Desensitizer with soft tissue. Does the tooth require drying prior to application? No. The tooth can be moist prior to application. Desiccation of exposed dentin can contribute to sensitivity, and should be avoided. After GluSense Application, the tubules are sealed, and the tooth may be thoroughly dried if necessary. Are there any precautions to take with GluSense? Yes. Avoid contact with soft tissues. If contact occurs, rinse thoroughly with water. No. Simply apply in a gentle rubbing motion for 30 seconds and dry. Can it be used with any restorative materials? Does GluSense interfere with cements? No. GluSense Desensitizer does not interfere with currently available cements. Remove syringe cap and twist on a SofNeedle™ applicator tip. Bend tip, as needed, to gain access to the application site. Before use, express a small amount of liquid onto a pad to insure that the material is flowing properly through the SofNeedle application tip. After use, remove SofNeedle and discard. Replace cap and disinfect syringe. Apply Glu/Sense desensitizer to the dentin of the tooth, using a gentle rubbing motion for 30 seconds. Dry and proceed to restoration when indicated. Avoid contact with soft tissue. If contact occurs, flush immediately with water. (See Warning section). Place pulp protection, when necessary, over areas very close to the pulp. Dentin does not need to be dry; a moist surface is acceptable. Removal of the dentinal smear layer is not necessary. However, if using a dentin-bonding agent that requires "total etch", remove the smear layer by etching first, and then apply Glu/Sense. Dry after applying Glu/Sense with streamof compressed air, followed by thorough rinse and suction. Apply each coat for 30 seconds, using a gentle rubbing motion. Glu/Sense is compatible with all restorative materials and may be used under composites, cements, glass ionomers and amalgam. Clean surface area with pumice and rinse with water. If area is too sensitive to clean with pumice, skip this step and apply the smallest possible amount of Glu/Sense desensitizer in one or two coats. Apply each coat for 30 seconds, using a gentle rubbing motion. Dry thoroughly with gentle stream of compressed air until fluid film has disappeared and the surface is no longer shiny. Rinse thoroughly with water. Avoid contact with soft tissue. See warning above. In extreme cases of dentin hypersensitivity, a dentin bonding agent or varnish may be applied over the Glu/Sense treated dentin. Glu/Sense dentin desensitizer should only be used by a dentist. Protect mucous membranes by using a rubber dam. Make sure the Glu/Sense dentin desensitizer only comes into contact with the area to be treated. Avoid contact with eyes, skin, and soft tissue. If contact occurs, flush immediately with water. Extended contact with tissue can result in redness or burning. Treat like any other chemical burn.If eye contact occurs, consult a physician immediately. Do not use on patients with known sensitivities to HEMA or gluteraldehyde.